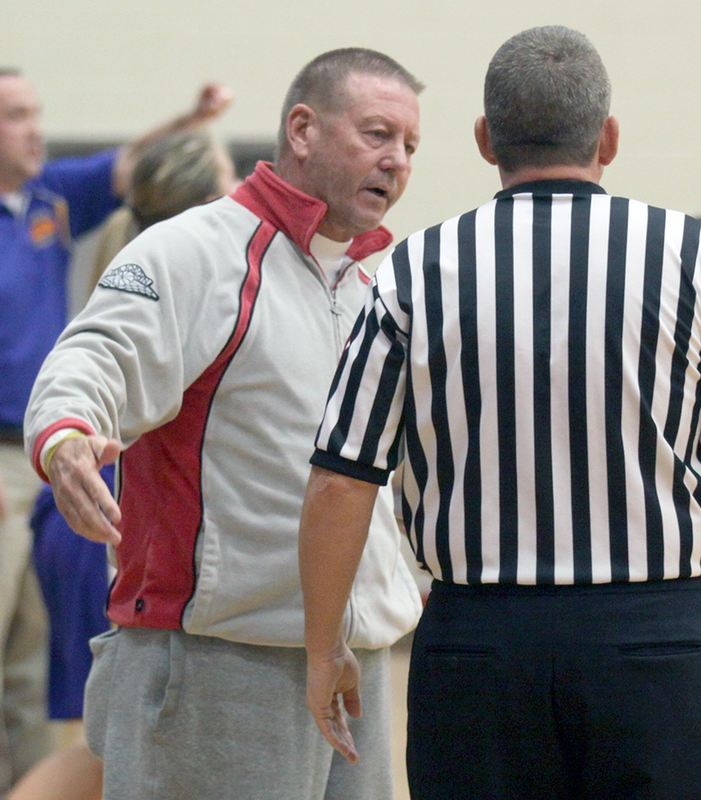 Taylor girls basketball coach Dennis Bentzler will serve as the interim varsity football coach in 2014. KOKOMO, Ind. – Four days into the 2014 Taylor High School football season, football head coach Eric Davis shocked the program by stepping down. Davis announced he has accepted a coaching position at Tri-County High School in White County, where he will also teach. Girls basketball head coach and former football coach Dennis Bentzler will serve as the interim coach this season. Davis spent three seasons coaching the Titans, compiling a 1-29 record. After a 15-8 victory over Peru in his fourth game at the school on Sep. 9, 2011, the Titans embarked on a 26-game losing streak headed into this season. Last season, Taylor held just one team under 40 points – a 39-13 loss to eventual 1A state champion Tri- Central. Taylor has not had a winning season since a 6-4 campaign in 2008 and a 6-5 season in 2007. Over the last 15 seasons, the Titans have a 31-123 record. This is not Bentzler’s first time taking over as interim coach of the Titans. While serving as the defensive coordinator in 2001, the Taylor graduate stepped-up to lead the program after the resignation of Tim Week’s. Bentzler led that squad to a 3-7 record after previous seasons of 1-9 and 2-8. Following his one-year stint, the Titans won two games over the next three years under Glenn Humerickhouse. Taylor opens the season at home on Aug. 22 against North White and travels to Tri-Central the following week. On Sep. 5, the Titans host Western to start the final year of Mid-Indiana Conference competition.